Home › Diversity › The sad, yet secret, reason many women feel they cannot take a break from the workforce. The sad, yet secret, reason many women feel they cannot take a break from the workforce. One of the things I enjoy doing more than anything else is talking to, working with, and coaching many women (and some men) through the challenges of being a full time parent and full time employee. Over the past month, three of the women I’ve been working with wanted to discuss the same thing, although their individual circumstances were all different. And what they wanted to discuss hurts – If they were to drop out of the workplace to raise their children, they either suspected or knew their significant others would not treat them well. While this is not the case for all women, I’m sad to say that I hear this concern more often than not when it comes to reasons why women (or men) that really wanted to take some time off to be care for their children just won’t. People most often cite financial necessity, or inability to get back into the workplace, when it comes to not taking a break or dropping out to raise children. No one wants to talk about this more secret reason – but we have to. Some people stay in the workforce, and take on additional burden, stress, and pressure just to make sure that they can maintain a voice in their relationships. “The work I do to care for the kids doesn’t pay.” All three women told me this. And no, it does not pay. But if you weren’t doing it, you’d have to pay someone else to do it (believe me, I know how much when I pay bills each month). Our society greatly devalues the importance of caregiving, and many significant others don’t see that work as something that is equivalent to bringing home a paycheck. Anne Marie Slaughter’s most recent book, Unfinished Business, does tackle this issue and there is more awareness now, but we have a serious deficiency in a society that doesn’t value the act of raising children or caring for each other. “I’m dead tired, and I still take care of 90% of the household responsibilities, but this is better than staying at home because my husband still respects me.” One of these women was extremely clear; she knew that if she dropped out of her six figure job to raise her three children, her husband would lose respect for her. However, he still expected her to do nearly all of the household work while managing that job. Note – his total salary was only 10% higher than hers. “After I quit my job to take care of the baby because it made more financial sense for the time being, my home life has been miserable.” One women said that she had indeed quit her job after having her second child, but was looking to go back as quickly as possible. She quit because after work expenses and childcare, her take home pay was net zero. She and her husband discussed and decided the best option was for her to drop out of the workplace. But once she did, and they adjusted her expenses, her relationship with her husband changed. He didn’t help out at home at all (before he would, it wasn’t 50/50, but he would help). He also continually questioned her spending. She hadn’t bought herself any new clothes in a year, and she never hired a baby sitter. She loves being with her daughters, but bringing home a paycheck, even if it contributed nothing to the family’s financial situation right now made a difference in her relationship with her husband. “My husband would do even less, and I wouldn’t be treated as an equal.” It makes sense that if someone choses to stay at home to care for children, that their significant other may need to take on more responsibility outside of the home, but families are families. They should still be connected and help each other out. It’s scary to think that if you stopped work, you may never, ever get a release from daily drudgery – or even worse, the drudgery becomes your job and there are no weekends or holidays. The women who was not currently working was particularly sensitive to this: her husband didn’t even keep her in the loop about his work schedule. She’d often find out on the day that he was leaving that he was heading out for a business trip or have no notice if he won’t be home for dinner. After experiencing a more equal relationship when they were both working it was difficult to adjust to a change in status within the relationship. In all these discussions, the same question came up: Has our push for equality in the workplace led to the sentiment that those that opt to not be in the workplace are not equal? 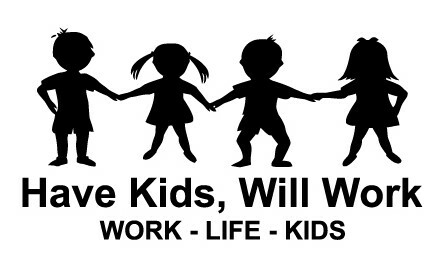 I hope not – raising kids while working (either at home, or elsewhere) is no easy task. The reason to not work because you fear that your significant other won’t respect you is very real and understandable, but we need to reinforce the value of the work done at home. Some jobs are truly “two person jobs” – they pay the salaries they do because it requires nearly 100% of someone – and those jobs have historically been appreciative and understanding of the role of a stay at home spouse. But what about those of us that are not in those sorts of jobs, but in positions where the earning power is somewhat more equal? How can we build the same appreciation for those partners that opt to not work in an office?